See our full Canon B/W , Canon Color, Xerox, and HP multifunction product lines. No one notices the copier until it breaks down, then your office’s workflow grinds to a stop. Despite their promises of paperless offices in the 80’s, we all still rely on paper to move information through our office. 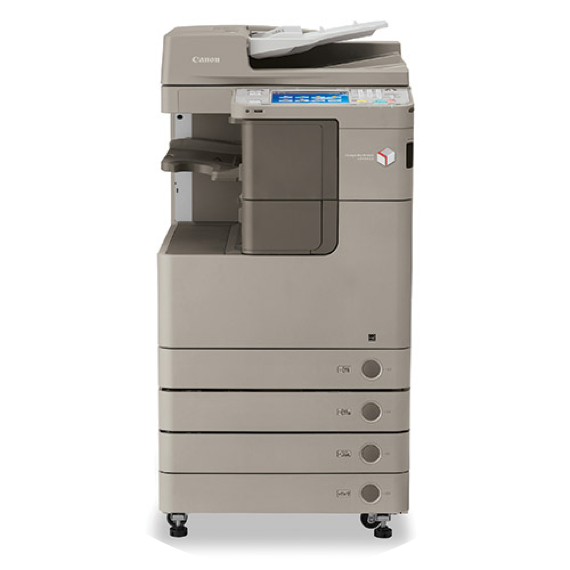 Doesn’t it make sense to insure that you have the best copier for your needs? If you buy too small of a machine it won’t last you more than a year before it has problems, but if you buy too large of a machine your wasting money. That’s where our highly trained sales consultants come into play. They can analyze your company’s workflow and recommend a solution that will fit your budget and your needs. With optional equipment our machines can even help you push toward that paperless office they promised you. Scan, print, and desktop fax functionalities can allow you to move paper between here and China for pennies a page. Let us show you how to realize the dream. If you have a need for a multifunctional device in your office, Atlanta Office Machines can help. Learn more by contacting us here.